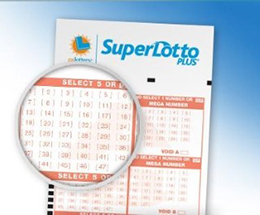 No doubt if you’ve ever frequented a convenience store or gas station in California, you’ve seen employees issuing SuperLotto Plus lottery tickets to hopeful entrants. There are those who faithfully enter every week and there are those who only purchase a ticket when the jackpot is huge, but they both hope for the same thing. Whether you are new to the ins and outs of the lottery, or have been a long time player, hopefully you can benefit from the three different strategies listed below. Pick a combination of even and odd numbers. Either two even numbers and three odd numbers, or vice versa. The chances of all even numbers or all odd numbers being drawn is slim, and it has been proven that the 2 odd/3 even or 3 odd/2 even strategy occurs in 65% of the draws. When picking your numbers try to ensure that the sum total falls between 89-151. Though it may seem impractical, evidence shows that numbers with those sum totals results in more wins and that's the goal, right? You want to win. Be sure to pick a combination of low and high numbers. Using the same 2/3 and 3/2 method as described in the even and odd number strategy, you better your chances up to 68% by adhering to this guideline. In addition to the strategies mentioned above, there are other things to keep in mind as well. Birthdays and anniversaries are the most common numbers picked, which limits your highest number to 31. In order to better your chances, consider picking numbers above that range. In addition to upping your odds of winning, this strategy can help reduce the chances of you having to split your jackpot with other winners. Another thing to bear in mind is to avoid so called "lucky" numbers. ; These numbers, such as 7, 13, 23, 32, etc...are also played more often than any others. The winning the lottery dream is one that many, many people share. The idea of being able to pay down debt, of having a healthy bank account, a bigger, nicer home, a better car and taking extravagant vacations and bestowing gifts to loved ones and friends is something we can all understand. The next time you play the California SuperLotto Plus, be sure to utilize these tips and strategies! Who knows? You might just be a winner!